It's time to team up! 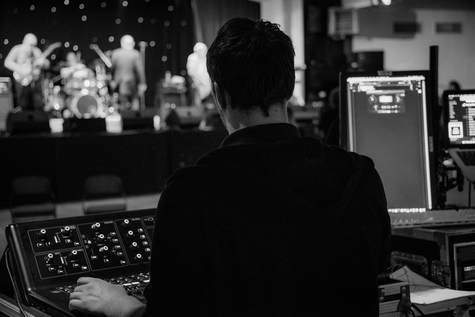 - We carefully select our pro audio staff to ensure that our event teams are unrivalled in skill, professionalism and personality. Front of house and monitor engineers are the guys responsible for delivering the creative audio decisions at an event to your audience and artists: All of our engineers are at the top of their game and are selected to be part of our team because of their skill to deliver impressive sound and make quick and confident decisions under pressure. 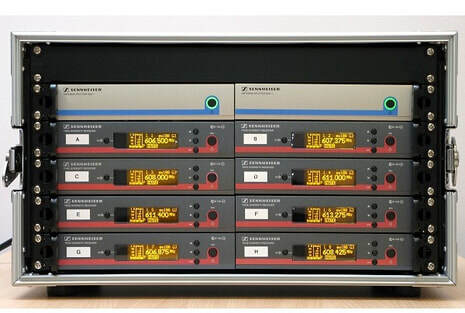 An audio system is like a top fuel race car; set it up right and it performs incredibly. Set it up wrong and the very best gear is as good as useless - This is why we use system technicians that know there stuff! The kind of guys that can get the very best out of any system and ensure that our promise to deliver amazing sound to each person is fulfilled. 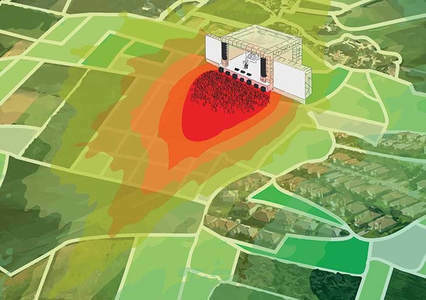 Wireless RF gear can be a complicated beast, but no need to worry: Our Sennheiser certified RF technicians have years of experience to deal with your event wireless environment no matter how large or small. Our technicians will look after all of the licensing with Ofcom and we offer a large range of rider friendly wireless systems for hire just let us know what you need! 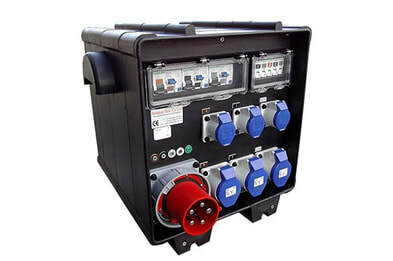 You can have all of the gear in the world but you need electricity to make it all turn on: For this reason we can bring an on site electrician to your festival to deal with your power distribution and make sure that power is both safe and adequate across the event site. Want us to help plan your event? As well as audio staff we employ a range of other event staff including our very own festival and event planning team. If you need help getting your event organised our professional team can help! Turn me on baby: Sound and light need one thing in common to work - Power! We stock a large range of generators up to 200kVA capable of powering large festivals and events with ease. Let there be light: Sound and light are the two essentials for any festival: Our lighting department has years of experience providing spectacular visuals for festivals and events of all sizes; so good you won't believe your eyes! 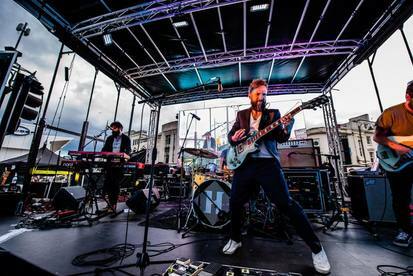 Set the stage: We have a great selection of festival stages for hire right here from our base in Cheshire including Roadshow trailers, Festival main stages and Modular Stages.